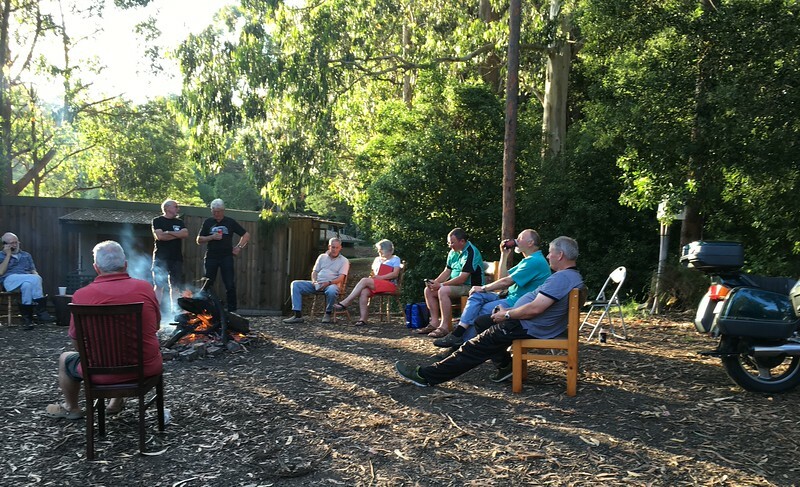 The Rawson overnighter organised by Graham A was a week later than usual this year, commencing on Wed 16 Dec. And we really benefited as the weather was excellent for both days, which was a nice change from last year’s day two rain. OK, below is a map to give an idea of the brilliant Day 1 route. 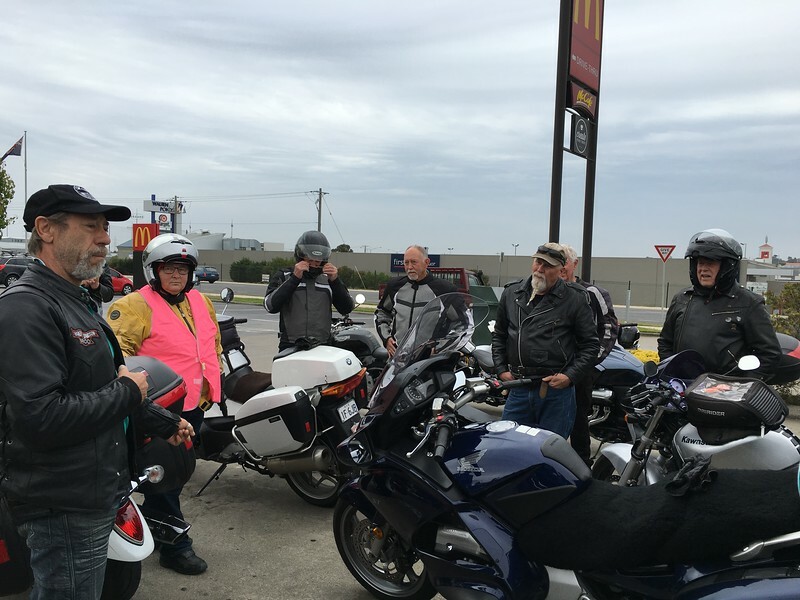 Nineteen riders gathered at North Geelong Maccas, with one of the Club’s numerous Peters (we had 5 Peters on one recent mid-week ride!) 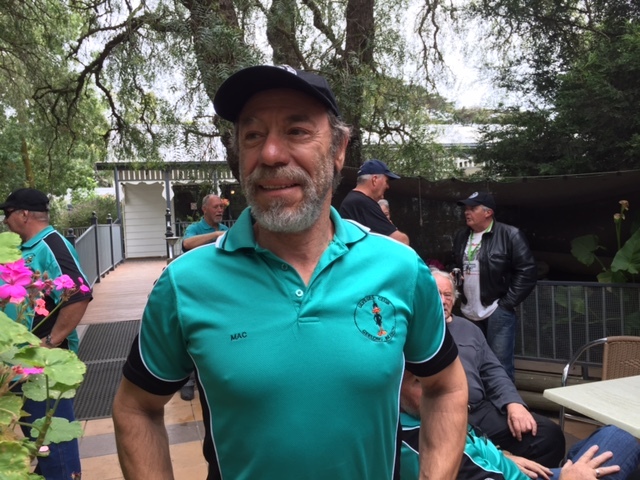 only riding until lunch time, but then collecting another two at Healesville. Graham leading off at Maccas. 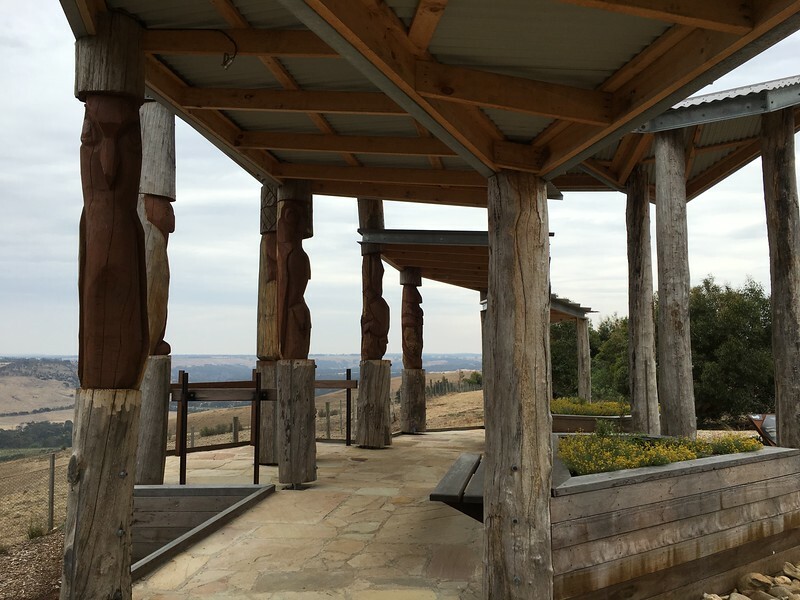 We headed to Bacchus Marsh for morning coffee. 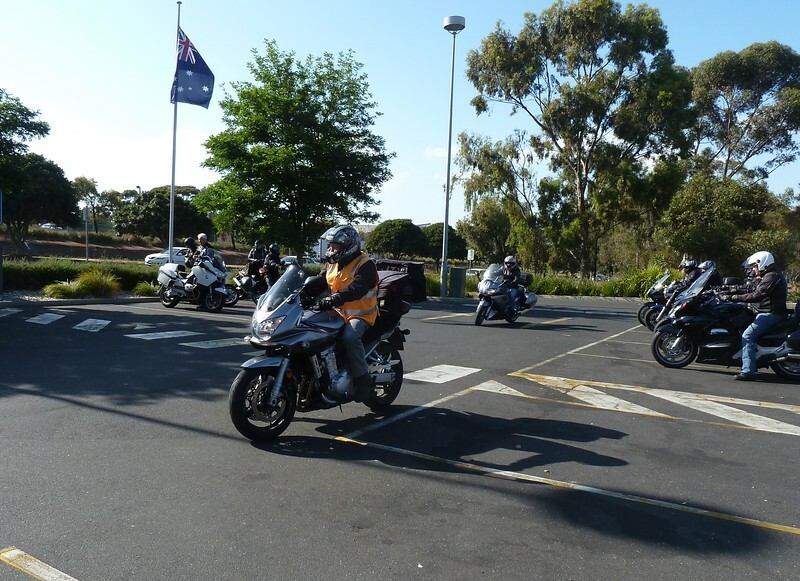 Graham then led us on a really good route to Whittlesea, skirting around the north of Melbourne and avoiding all the traffic. 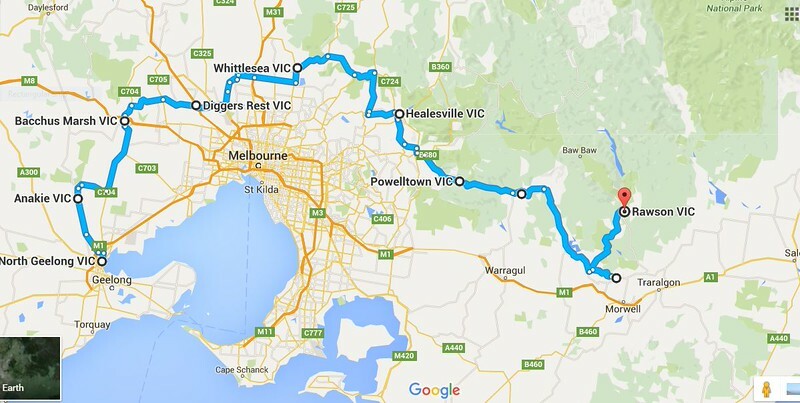 From Whittlesea to Healesville, via Kinglake and Yarra Glen, the scenery and roads just got better and better. And just to add to the enjoyment it was all blue sky and around 22C ambient for most of this section – perfect riding conditions. Healesville has a large ‘Beechworth Bakery’ franchise with tons of parking around it which was perfect for our lunch stop. This is where Stan and Marlene joined us, having come down from Bendigo I believe. From here on the roads just got better and better. 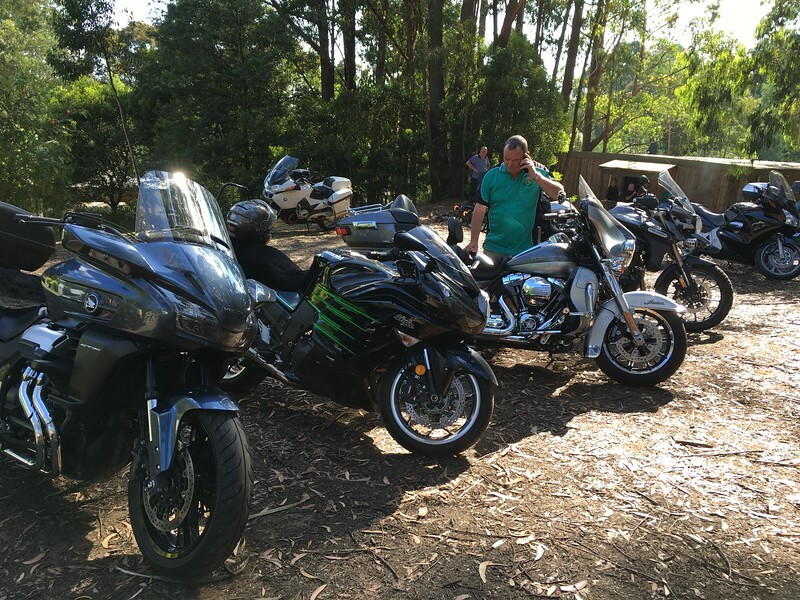 The ride from Healesville through to Powelltown, Noojee, Hill End, Willow Grove and then past Blue Rock Lake and beyond is motorcycling Nirvana. Some of us rode the twisty roads at a nice brisk pace whilst others just bopped along at their own pace and comfort level. This really was traffic free, week day riding at its best. 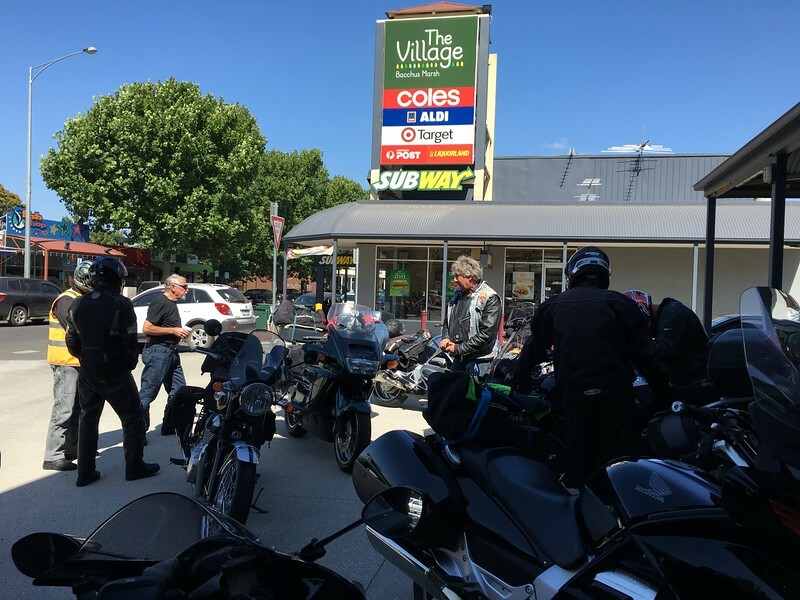 As we neared Yallourn North for drinks, BBQ supplies and fuel the temp really picked up and was in the low 30C’s. From here it was just an enjoyable short run via Tyres through the bush up to Rawson. At Rawson bikes were unloaded, stubbies were opened and the good times off the bikes commenced. Irish John was unstoppable getting a big fire going, which served as the focal point for the evening. It was a really nice balmy evening for cool drinks in great company. 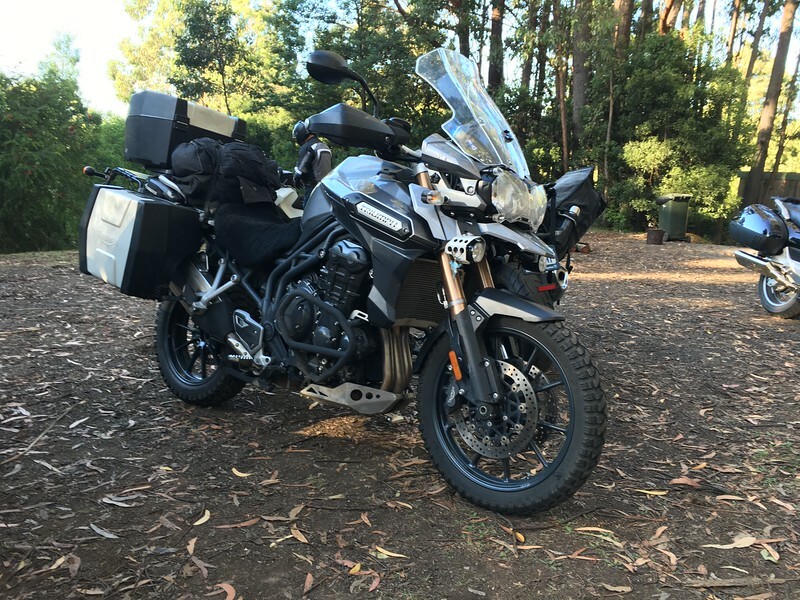 OK, just some random pics of motorcycles that were of interest, but also illustrate the diversity of machines that ultimately all serve the same purpose. 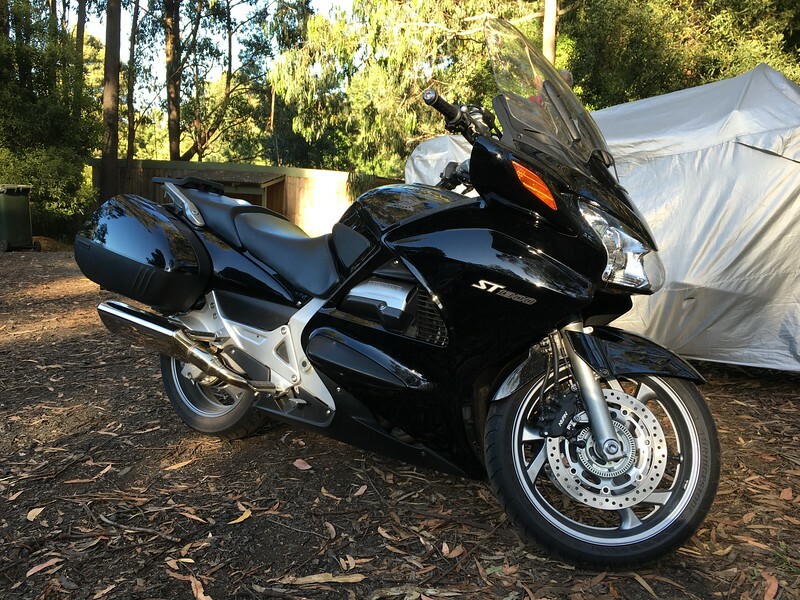 John’s new Honda ST1300 – what an awesome long distance touring machine. Some stayed up late and partied Wednesday night. 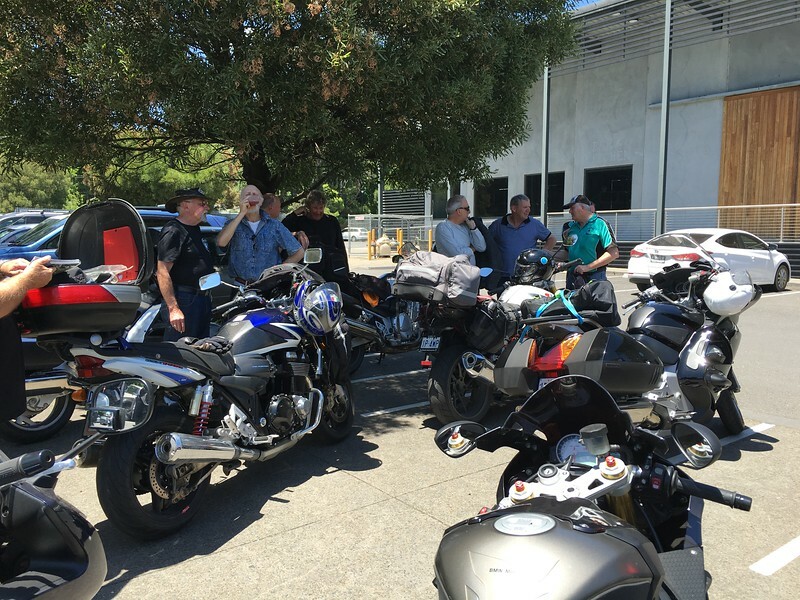 However, most didn’t given that it had been a hot afternoon in the saddle and the departure time had been set for 8.00am on Thursday morning for those returning to Geelong with Graham.This departure time was based on the forecast 36C temps for Thursday. 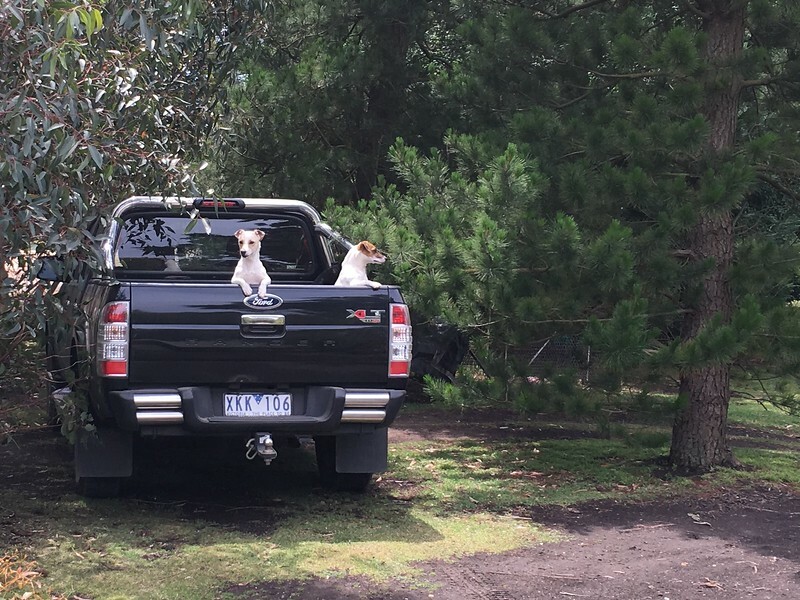 Poppy and Peter were heading on to Bright via Mt Hotham and left early. 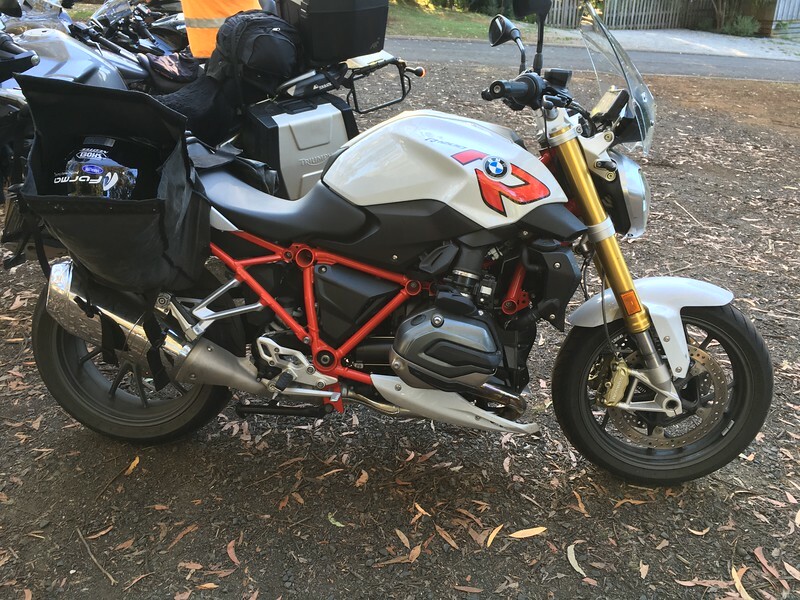 Bill and the ST1300 crew had decided to head for the coast and spend the night at Phillip Island and lingered longer. Another couple of riders just didn’t make the 8.00am departure! We headed off in the cool morning air down through Erica and retraced our route through the bush to Noojee for early morning coffee. It was another absolutely brilliant ride at a ‘brisk’ pace with virtually no traffic around. Even though it was early, the sun already had some sting in it and there was no doubt it was going to be damn hot. The lovely old lady at the Noojee store dutifully made coffees, dispensed pies and sausage rolls from her ancient pie warmer and even offered a packet of mixed biscuits for free for the fellas. 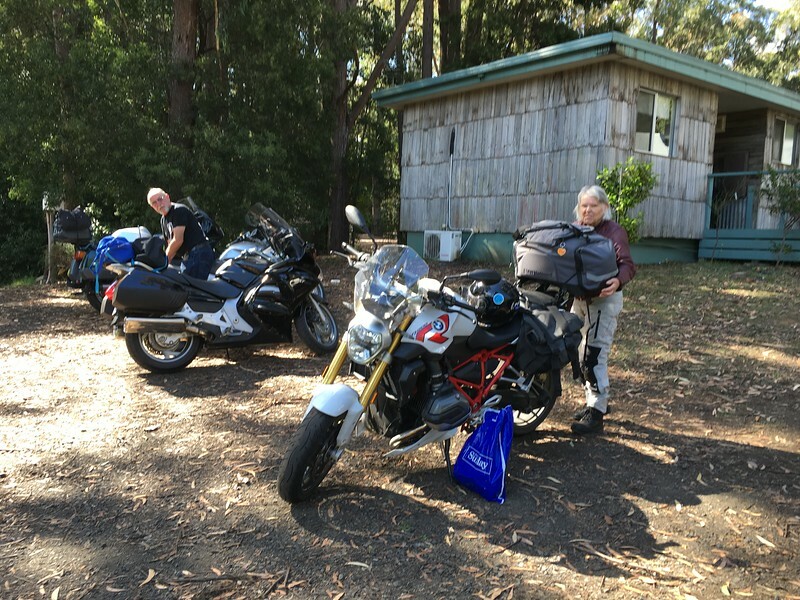 Talk of travelling back via the Reefton Spur was replaced as and the collective wisdom was to get home expediently to avoid the worst of the heat. Jimbo decided he would take a more scenic route home and the brains trust gathered around his map to assist his route planning. Graham led the rest of us via Yarra Glen, Christmas Hills and Kangaroo Ground, I think, to Diamond Creek. At this stage I didn’t know that I was writing this ride report and I really didn’t pay much attention to the route! At Diamond Creek we had another breather and from there on it was home via the Western Ring Road and Princes Highway. The traffic on the Ring Road was actually quite heavy and the ride was less than pleasant, made worse by the heat and a couple of downright homicidal drivers. Once off the Ring Road it was a short run back and we pulled over for a hasty debrief in 36C heat. 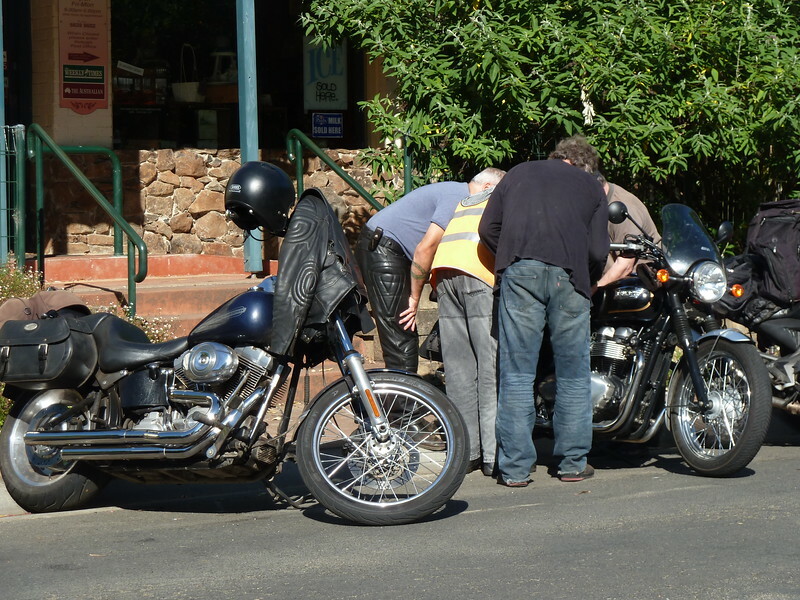 Once again the Rawson ride was a great success and one of the best Club rides for 2015. A great bunch of people, brilliant roads and no rain or rider incidents, what more could you ask for? Thanks again to Graham A for organising and leading and to Phil R for tail-ender duties on both days. 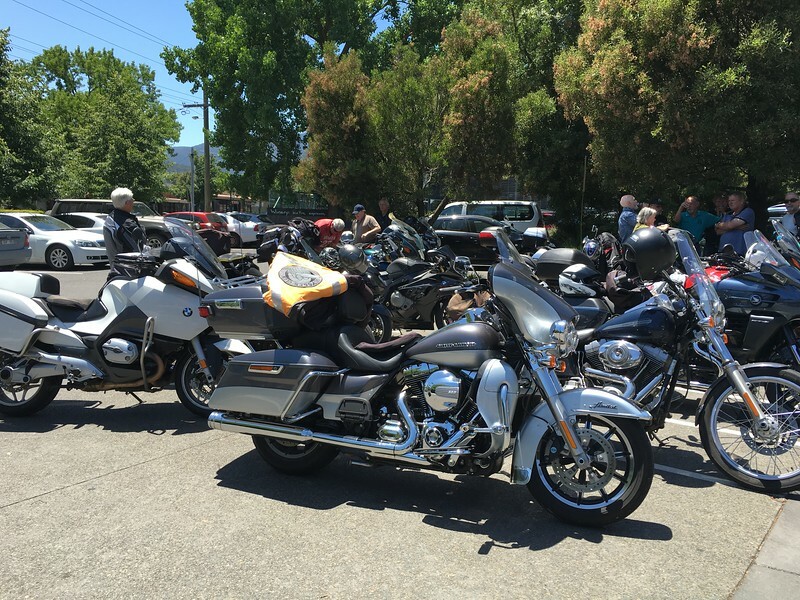 Some pics from today’s poker run. 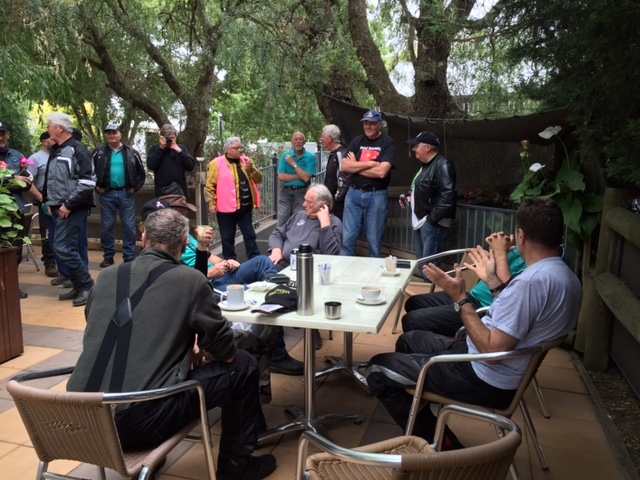 Briefing at Waurn Ponds – I believe Mac had two routes in mind! 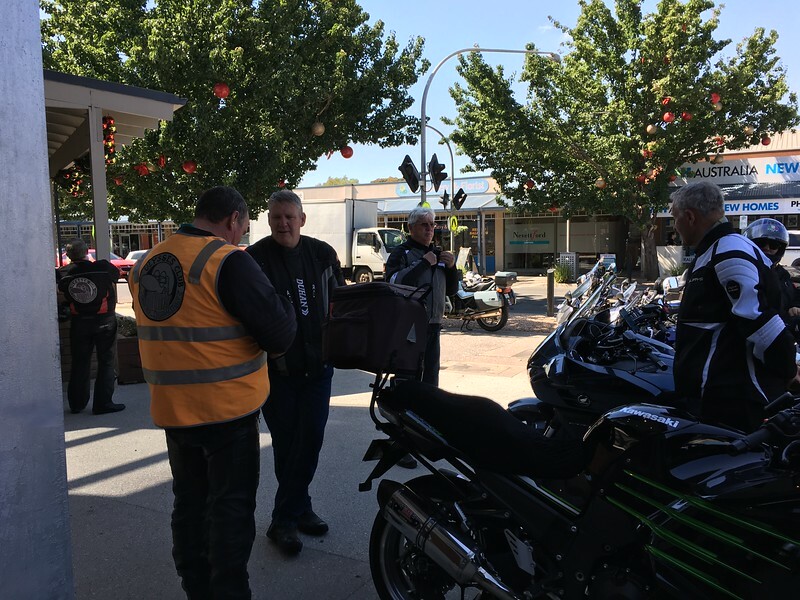 Morning tea stop on the outskirts of Geelong. 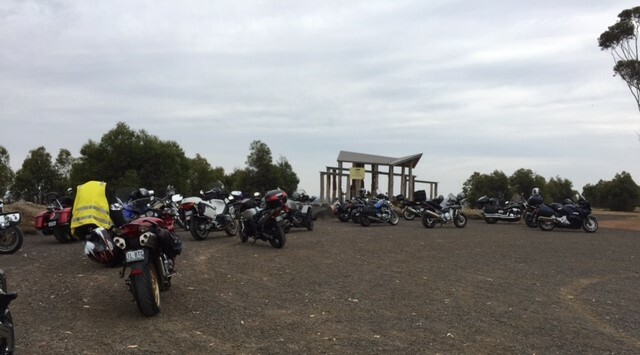 Unfortunately I don’t have any pics from lunch at the end of the ride at Balyang sanctuary. A big thanks for a great job by Mac and Mal for organising the poker run and the catering. And the women were the big winners, picking up three of the top four hands!